Delaware is a U.S. state located on the Atlantic Coast in the Mid-Atlantic region of the United States. It is bordered to the south and west by Maryland, to the northeast by New Jersey, and to the north by Pennsylvania.The state takes its name from Thomas West, 3rd Baron De La Warr, an English nobleman and Virginia’s first colonial governor, after whom what is now called Cape Henlopen was originally named. Delaware is located in the northeastern portion of the Delmarva Peninsula and is the second least extensive, the sixth least populous, but the sixth most densely populated of the 50 United States. Delaware is divided into three counties. From north to south, these three counties are New Castle, Kent, and Sussex. While the southern two counties have historically been predominantly agricultural, New Castle County has been more industrialized. 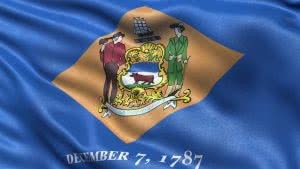 Delaware’s corporate laws and business-friendly state government have made it one of the most popular states for incorporation of a business. Almost a million business entities have their legal home in Delaware including more than 50% of all U.S. publicly-traded companies and 60% of the Fortune 500. Names of Delaware corporations must be distinguishable from any domestic or foreign corporations or entities, LLCs, LLLPs, LLPs, LPs, NFPs, Trusts and PCs. Company Express will research your company name to make sure it meets Delaware’s standards. Turnaround time: About 3-5 weeks. 24 hours expedited filings are available for an additional fee. Directors qualification: Director must be physical person. Corporation’s principal office may be located outside of the state, but local registered agent is required in Delaware. Time to file: Corporations must file annual reports with the Delaware Secretary of State before March 1. The annual report fee is $50 and the franchise tax is calculated based on the number of shares and par value. The minimum franchise tax is $75, but if the number of shares is above 5,000, the annual fee may increase. Signatures: Only company officers are authorized to sign annual reports. Names of Delaware Limited Liability Companies must be distinguishable from the names of any other domestic or foreign corporation, LLC, LLLP, LLP, LP, NFP, Trust or PC. Company Express will research your company name to make sure it meets Delaware’s standards. LLC’s principal office may be located outside of the state, but local registaered agen t is required in Delaware. Time to file: LLCs must file their annual francise tax notice before June 1. The fee is $250.